PosteRazor cuts a raster image into pieces which can afterwards be printed out and assembled to a poster. As input, the PosteRazor takes a raster image. The resulting poster is saved as a multipage PDF document. An easy to use, wizard like user interface guides through 5 steps. It is a nice utility with lot of features and easy to use. it having a great file format support. or use Synaptic Package Manager for Installation. Here You can see a Video Introduction to Go Programming. This will help you to start Go Programming. 56 Minute Duration. LAMP Server ( LINUX APACHE MYSQL PHP) is essential for web developers. You can use lot of methods to install LAMP Server. But I think the following is the most simplest method. HandBrake is a multithreaded video transcoder, This will allow us to rip DVD to MP4, MKV, AVI or OGM. It is open source and is under the GPL. To use this program only need the DVD VIDEO_TS folder with the files or a DVD image to pass to the other formats are MP4 and MKV, MPEG-4, H.264, AAC audio or Theora, MP3, Vorbis or AC-3 and DTS. Unp is a small perl script which makes extraction of any archive files in easy way. It support several compressors and archiver programs, chooses the right one(s) automatically and extracts one or more files using a single command. It supports rar, zip, tar.gz, deb, tar.gz2, rpm etc.. Here I will show how to start php programming. Lot of my friends like php, but there is a starting trouble. This will help you to write your first php program. You need to install LAMP (Linux Apache, Mysql, PHP )Server. 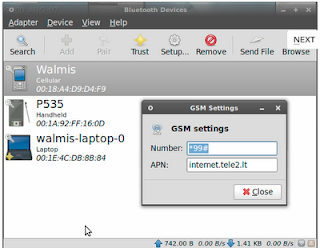 It Shows " It Works "
Launch2net for Ubuntu Linux is a professional mobile Internet Connection Manager for Ubuntu users. launch2net will recognize your type of modem or ExpressCard as well as the SIM card and does not need intricate driver installations or configurations. A user friendly graphical frontend gives most important information at a glance, like network information, signal strength, online time and data throughput. It is Simle to use, no long searches for modem drivers or connection settings. launch2net gets you online simple and fast with a few clicks. 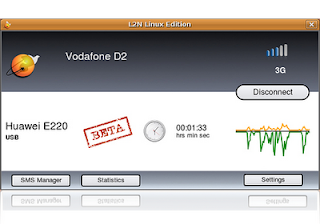 L2N have a simple SMS text message manger. You can use launch2net to send, receive and manage your SMS text messages with support of multipart and multigroup messages. Now a days most of devices comes with bluetooth facilty. If you have a mobile phone and a Laptop, You must Blueman, It will help you a lot. Popular Desktop Linux distribution Mandriva 2010 released . See some new features in mandriva 2010. Mandriva introduced a Live Upgrade , which help you to upgrade packages easily. xguest package based Guest accounts, it offers safe temporary access to the system via gdm or kdm. 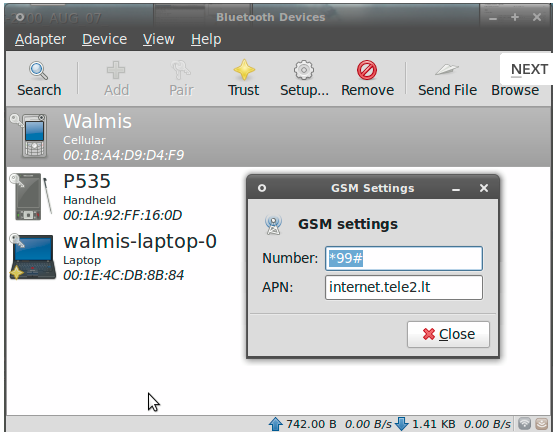 Mandriva 2010 is based on Linux 2.6.31 improved its wireless Support with easier wifi key setup. 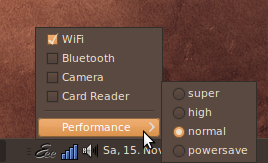 Krandr ( Desktop resolution dynamic changer ) will be more integrated into KDE4. The Plymouth boot splash technology, which provides a graphical boot animation during the boot process. Mandriva 2010 will have GNOME 2.28. It contains the latest version of GTK+ with client-side window. The new version of Fedora 12 is released. 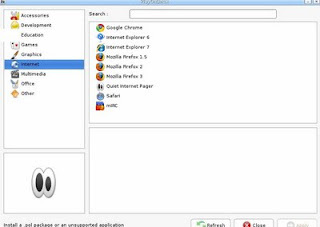 You can install famous communication software skype in fedora 12 using some simple steps. The world famous communication software skype can easily install in ubuntu 9.10 Karmic koala with simple steps. Skype can be used for Free calls, video calls and instant messaging over the internet. Plus great value calls to phones anywhere in the world. with a broadband internet connection you can make low cost calls to land phones and mobile phones. First you have to add medibuntu repository. Fedora 12 released with lot of new features. Fedora 12 is aiming intel's next generation processor Atom. 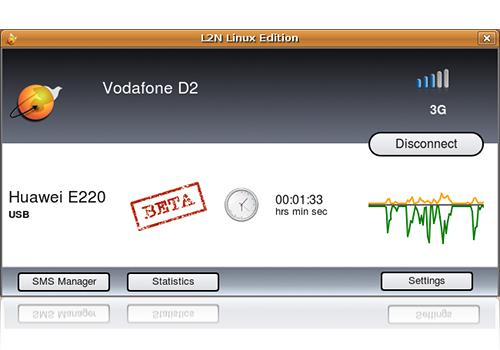 Networ manager made easier access to both normal LAN connections and mobile broadband . Bluetooth PAN support offers a simple click through process to access the Internet from your mobile phone. IPv6 support has also been improved. Improved video support with Next-generation (Ogg) Theora video. Superb Graphics with Kernel mode setting (KMS) support and support for latest 3D and HD Graphics cards. Easy and Simple bug reporting Tool is introduced for low end users. Enhanced Audio Support with PulseAudio system. Smarter updating with yum support. Bootable USB creating Tool, Enhanced Wi-Fi Support with built in Broadcom firmware. PlayOnLinux is a Free Sofware which allows users to easily install and use lot of Windows games and softwares in Linux. Few games are compatible with GNU/Linux at the moment and it certainly is a factor preventing the migration to this system. PlayOnLinux brings an accessible and efficient solution to this problem, cost-free and rescpetful of the free softwares. PlayOnLinux is based on Wine, and so profits from all its possibilities yet it keeps the user away from its complexity while exploiting some of its advanced functions. PlayOnLinux is a free software. This language should allow compilation speed even for large binary files, have a good support for multi-processing, management and innovative light-oriented programming (OOP). Currently, there are two official compilers: Gccgo, which relies on GCC as a back-end, and a suite of compilers, 6g and 8g, respectively developed for x86 64-bit and x86 32-bit. Google should also release the short-term support for ARM chips and devices Android. import fmt "fmt" / / package that implements the functions of I / O. Previously some there was some problem for remastering Ubuntu 9.10 (Karmic koala). Karmic Koala is using Grub 2, remastersys is designed for grub 1. Now Remastersys is redesigned for ubuntu 9.10 with grub 2 and it is working. you need Remastersys version 2.0.13-1 or higher. 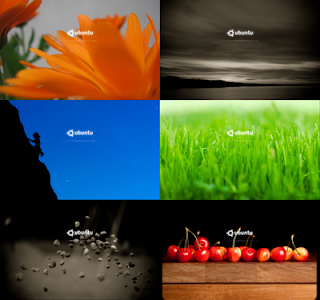 Ubuntu has gained new splash screen software called xsplash, and is introduced in ubuntu 9.10 karmic Koala. Here a simple nice script for changing your xsplash screen with respect to your desktop wallpaper. Every time you change the desktop wallpaper, it will automaticaly change the xsplash screen. 2. Copy ‘wallpaper_daemon.py’ file to a safe place, it won’t get deleted. 3. Now change the file permission of ‘wallpaper_daemon.py’. eee-control is an easy-to-use utility for controlling Eee PC hardware under Linux. It can toggle hardware (WiFi, Bluetooth, etc.) ON and OFF, lets you configure all hardware hotkeys, enables aggressive powersaving, and more. Almost all Eee PC netbook models are supported to varying degrees.Ubuntu9.04 and higher will support eee-control with out any kernel modification. This how to help you to add your own grub splash image(image in the boot menu). Now Everything Over, You can Reboot Now.